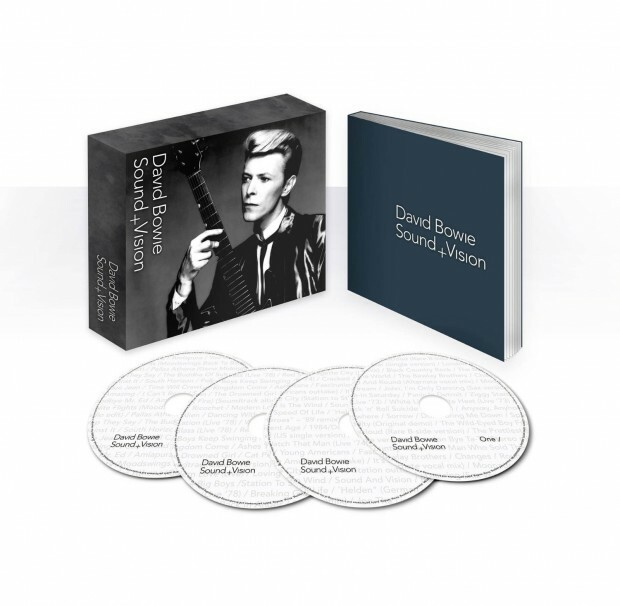 David Bowie’s superlative 1989 boxed set Sound + Vision is getting the reissue treatment once again. Last month, his website announced that the career-spanning set, which originally covered the years 1969 to 1980, will be re-released on September 22 on Parlophone. As earlier reported by The Second Disc, the anthology was first released on Rykodisc records as three discs with the fourth one being a CD-Video, which was later replaced by a CD-ROM. In 2003, the set was reissued by EMI/Virgin with the CD-ROM replaced and the addition of tracks from the ’80s through 1994. (No new additional tracks grace the 2014 version). From first glance of the pack shot, the new reissue also seems smaller in physical size compared to the original 1989 and 2003 setsm with the same cover photo featured in black-and-white. 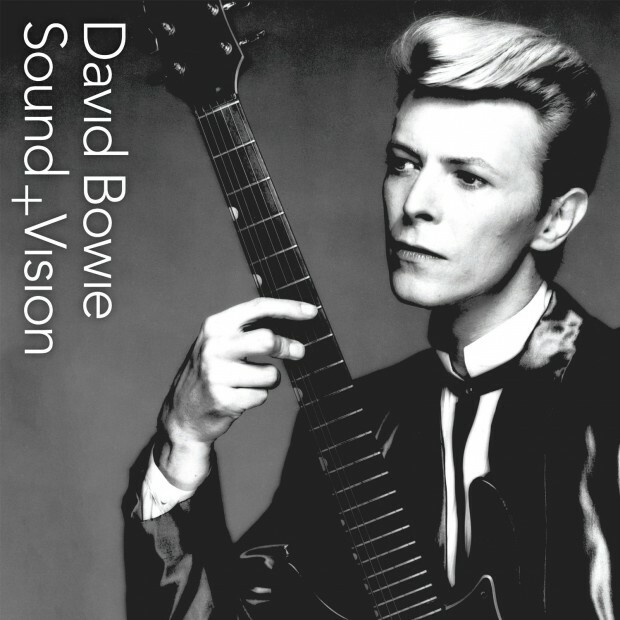 Sound + Vision is not your typical boxed set – while there are certain key tracks represented, some of the Thin White Duke’s biggest hits such as “Let’s Dance,” “Golden Years,” “Fame,” and “The Jean Genie” aren’t on the compilation; there’s a generous heaping of rarities that will appeal to fans who want to dig in deeper beyond the popular songs. Sound + Vision is one of the greatest boxed sets ever, and on its 25th anniversary, it deservedly gets a third life.